As Principal Saxophonist and National Tour Soloist during a 24-year career with the U.S. Navy Band in Washington D.C., Dr. Timothy Roberts established himself as one of the world's premier concert saxophonists, performing for hundreds of thousands of patrons throughout 20 countries. 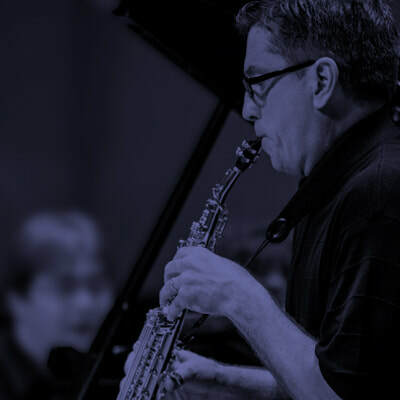 He currently serves as Professor of Saxophone and Instrumental Division Chair at Shenandoah Conservatory in Winchester, Virginia. "Timothy Roberts poured forth the most gorgeous sounds ever heard from a saxophone, and phrased eloquently besides." In addition to maintaining an international performance schedule, Dr. Roberts brings years of private instruction experience to his dynamic teaching studio. 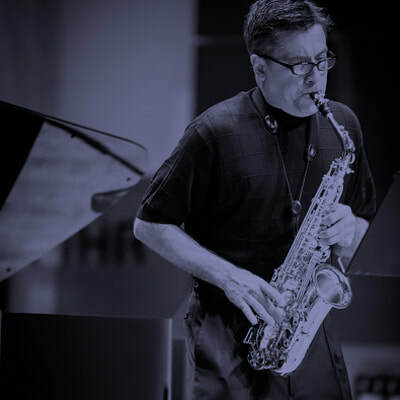 His students gain insight on both the artistry of saxophone performance -- as a solo, chamber, and ensemble instrument -- as well as the business of succeeding in a career as a musician. Timothy Roberts maintains an active performance schedule, from chamber music and recitals to solo appearances with orchestras around the world. He is regularly featured as a performing artist at saxophone conferences throughout the U.S. and internationally. Find an upcoming appearance. Check out the various recordings on which Timothy Roberts can be heard, including his newest album for purchase, Zynodoa, featuring the U.S. Navy Band, Sylvan Negrutiu (piano), and Garrick Zoeter (clarinet). Questions for Dr. Roberts, queries about booking a performance, or just want to follow him on social media? Connect with Timothy Roberts today!